Gillis Congnet the Younger, "Christ Amongst the Birds and Bees," c. 1640-41. But anyway, on a slightly more serious note: How often do we think of Jesus as a meek and mild feminine figure? Nice, passive, sentimental. Always with a sunny disposition. Gliding along through the streets of ancient Palestine, engulfed in a bright aura and commanding instant trust wherever he went. Gently calling people to his side, dispensing hugs and smiles and kind words. 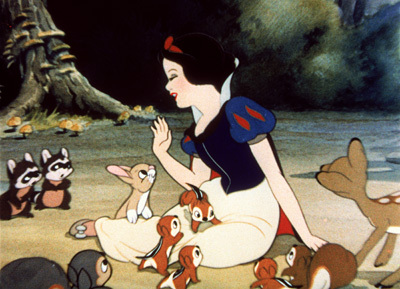 Like Snow White. Throughout the eighteenth to early twentieth centuries (and sometimes in the seventeenth, as the above painting evidences), Jesus was almost always pictured this way in art. Because we’ve been conditioned to see him as this sort of peaceful, nonthreatening presence, we often forget that the Jesus who bounced little kids on his knee and knelt down to wash the feet of his disciples was the same one who overturned the moneychangers’ tables and called the Pharisees by all sorts of angry epithets. The same Jesus who extended his arms in blessings also, with those same arms, called down curses on the enemies of God. Yes, people were drawn to him, but just as many, probably more, were repelled by what he said, and still are. Not everyone loved him. Not everyone confided in him and gave him their undivided allegiance. He was ultimately crucified for what he said—for claiming to be God, and for challenging the people’s understanding of Jewish law. Let’s not treat Jesus like he’s a flat character from a fairytale book or Disney movie. His character is fully rounded and does not always fit into the meek-and-mild cast. Update, 2/13/12: I found another Disney princess Jesus painting. 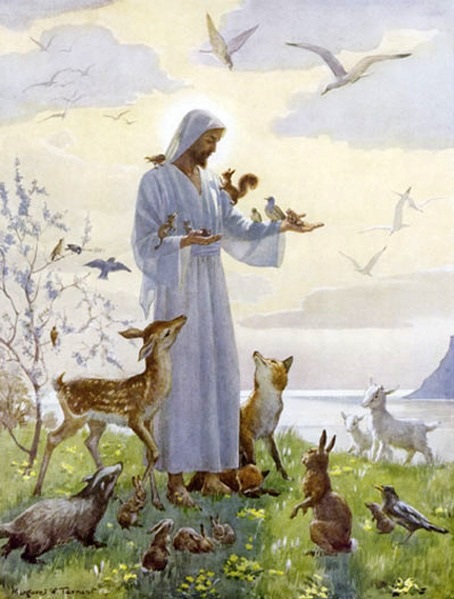 Margaret Tarrant, "Jesus and the Animals," 1930s-40s? 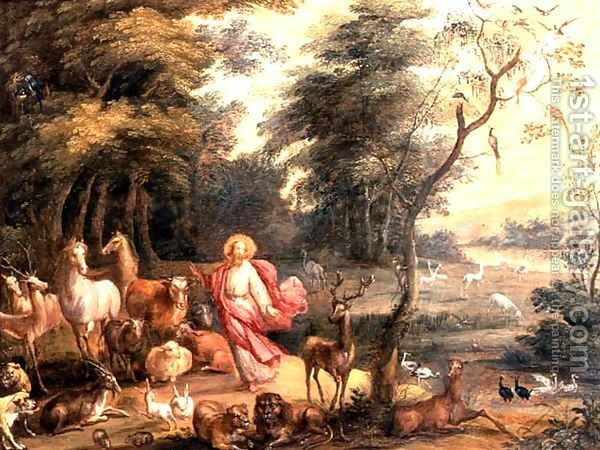 This entry was posted in Western Art and tagged disney princess jesus, jesus with animals, meek and mild jesus. Bookmark the permalink.